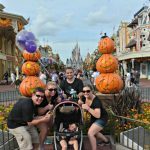 Our trip to Disney World took hours of planning and some careful execution. We wanted to enjoy ourselves, but we also wanted to make the most of our time there. Today is Part 1 about our plan of attack, I started writing this post and then realized that it was going to be super long and decided to split it into a couple posts. We opted for the 6 day park ticket, once you get above about 4 days it is relatively cheap to add additional days. We did not add the park hopper because we planned it out to utilize each day. First of all, make sure to check out Undercover Tourist Crowd Calendar. Not only does this tell you the expected crowd level, it also has the park hours. Using this, we came up with our plan of attack to go to the parks on the lowest crowd days and longest hours. It isn’t always perfect, but generally it is pretty close. 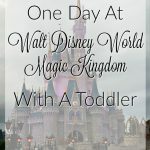 We knew that we wanted to spend the majority of our time at Magic Kingdom since it had the most attractions that we were interested in. Friday and Saturday were definitely higher crowd days (and Friday had shorter hours because of Mickey’s Halloween Party), but we were OK with that since they were repeat days. The first thing we did when we got to Animal Kingdom was to pick up our Magic Bands so that we could use those instead of our standard tickets for park entry, fast passes and the Memory Maker. I definitely recommend getting the Magic Band – they are a lot easier to keep track of since you are always wearing it. The Memory Maker was definitely worth it for our trip. We had 53 pictures in just the first day! This also gave us freedom during the character meet and greets that we didn’t have to worry about getting all the shots as Aubree met the characters. Disney had photographers all over the park and they hardly ever had a line. All the photographs are available for download (in high-res) for the single cost. Animal Kingdom was a great park to start off our Disney adventure. It was a bit more low key than the others and we actually stumbled across a few of the characters (with no line too!). We did have a couple rides planned for the day so Brad and Aubree got to hang out. 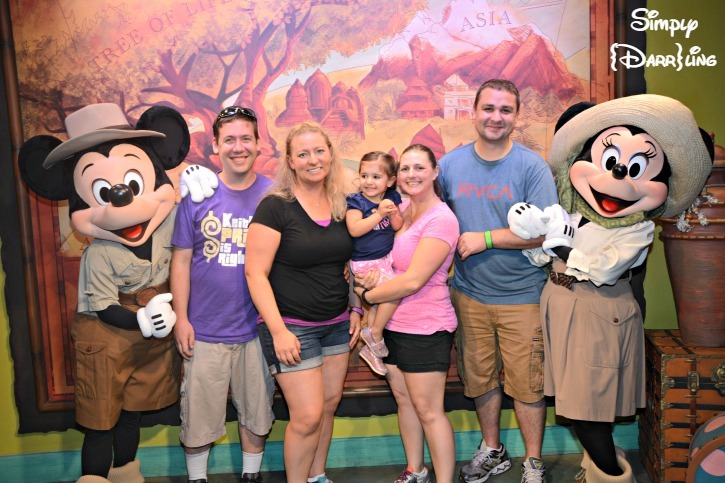 Throughout the week Brad got to meet many characters with her. The Expedition Everest ride is a must-do for any roller coaster lover. Part way through it stops and then runs you through the mountain backwards! I wasn’t that impressed with the Dinosaur ride, it was kinda like the Indiana Jones ride but lamer. We had a fast pass so at least we didn’t stand in line for it. We also did the Kilimanjaro Safari that was excellent. It reminded me a lot of the San Diego Wild Animal Park (mixed with a bit of Jungle Cruise). It was great seeing all of the real animals that they had. 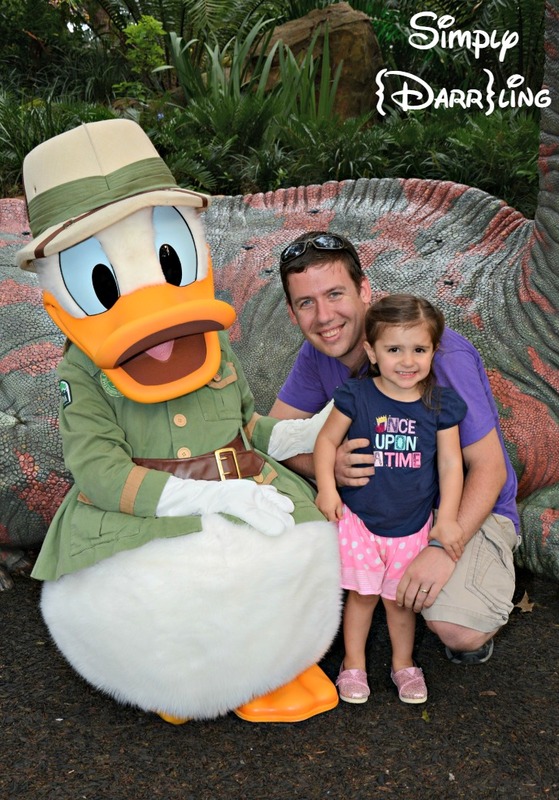 The second park we did was Hollywood Studios. One of the main reasons we went there was because that is where the Disney Junior characters hang out. 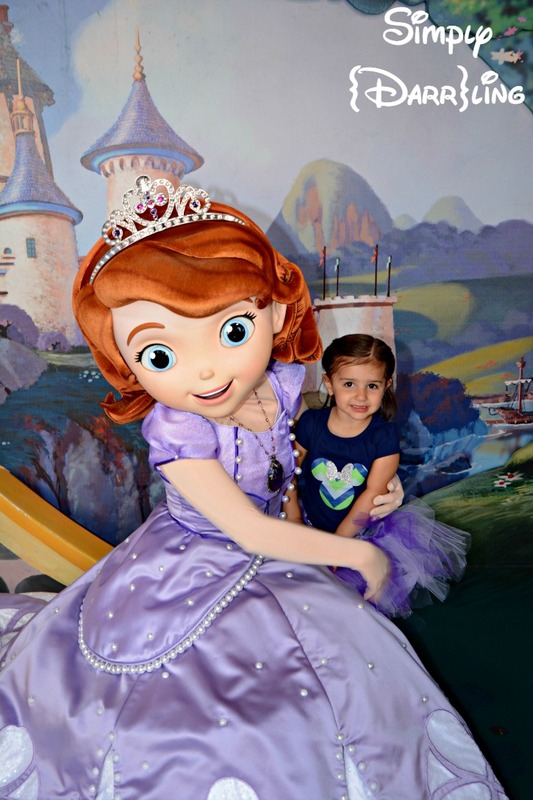 Aubree was very excited to meet Sofia the First (in her Sofia tutu). We LOVED the Rock n Roller Coaster, the acceleration is so high that you can feel the pressure in your chest through the first loop. These were great parks to do first as they helped us figure out the fast pass system and also didn’t require being there for hours on end. Check back later for my thoughts on Magic Kingdom and Epcot! 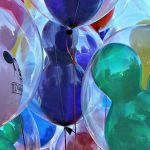 What is your favorite Disney attraction? Well it sounds like a fun trip! And here you were right in my neck of the woods!Getting the pictures is so worth it – you can’t replace those fun moments! Oh wow. Looks like you had a fantastic time! I still remember going to Disney as a kid, but it looks like y’all had a lot of fun! 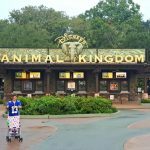 The last time I did Disney, the Animal Kingdom was our favorite and I LOVED the Safari!! I REALLY want to go back in the next year or 2… I’ll be doing lots of research when the time comes! Magic Kingdom hands down. And I LOVED spending Halloween at Disney last year. I’m going again next year…because it also co-insides with Wine & Food Fest over at Epcot. SO FUN!! !